Amy's Day Spa | Celebrity Secrets to Looking Great! Are you ready for an IMPROVED you in 2016? Make this your New Year’s resolution…enhance the beauty you already have and show off an improved you this year! 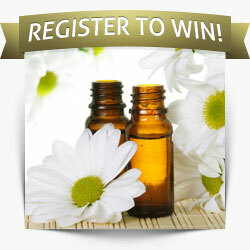 We will show you how with celebrity tips to improve and maintain flawless skin all year long! Slather on the sunscreen. Yep…even during the winter months! Wearing sunscreen is the easiest way to look younger for life. A majority of wrinkles are caused by sun exposure. It’s much easier to prevent the damage than it is to fix it. Visit Amy’s Day Spa today to pick up your sunscreen or moisturizer with sunscreen in it. Exfoliate! This is one of the best ways to remove dry skin cells. But, not just any exfoliating cleanser will do. Many over-the-counter brands contain ingredients that are too harsh for delicate skin. Your best bet is to visit Amy’s Day Spa and let us pick one just for you! Facial! Eliminate dry, harsh skin with a facial! 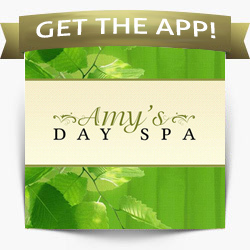 Visit Amy’s Day Spa and let your esthetician work their magic. While you’re at it, listen to their recommendations for at home treatments and masks to keep your skin glowing, moisturized, and healthy. Healthy Lifestyle. Celebrities know that your diet is revealed in your skin. That’s why they are adamant about their food and drink choices. The food you eat makes an impact in the health and overall appearance of your skin. Antioxidants found in fruits and vegetables help protect your skin and fight wrinkles. The antioxidants in fresh berries and salmon’s omega-3 fatty acids both help improve the health of your skin’s cells and slow premature aging. Also, include nuts, legumes, green leafy vegetables, and plenty of water in your diet. Add to this at least 30 minutes of exercise 3-4 times a week…. walking, yoga, spin class, weightlifting…you name it, just get out there, and you will be surprised at how energetic and healthy you look and feel! Want more tips to help you improve and maintain a beautiful YOU? Reserve your complimentary consultation so we can help you look even more beautiful than you do right now!